ABERCROMBIE (Abercromby), JAMES, army officer; b. 1732, probably in Scotland; d. 23 June 1775 at Boston, Mass. James Abercrombie’s family origins are uncertain but he may have been a relative of James Abercromby. On 11 June 1744 he was made lieutenant in the 1st Foot, which served in Flanders during the War of the Austrian Succession and in Scotland during the 1745 rebellion; this may have been his first commission. He was promoted captain in the 42nd Foot on 16 Feb. 1756, and in April of that year his regiment reached North America. 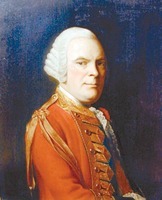 By May 1757 Abercrombie was aide-de-camp to the Earl of Loudoun, commander-in-chief in America, and that summer he took part in Loudoun’s abortive campaign against Louisbourg, Île Royale (Cape Breton Island) [see Charles Hay*]. After the army returned to New York Abercrombie went on reconnaissance and raiding missions with Robert Rogers’ rangers; his knowledge of French was used in interrogating enemy deserters. In his reports to Loudoun he consistently urged aggressive tactics. 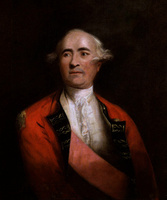 By March 1758 he was aide-de-camp to Major-General Abercromby, who had succeeded Loudoun, and he reconnoitred Fort Carillon (Ticonderoga, N.Y.) before the unsuccessful attack that July. By December, with Jeffery Amherst the new commander-in-chief, young Abercrombie was in New York awaiting a new assignment; Amherst appointed him his aide-de-camp on 5 May 1759. His duties included examining and reporting on preparations for the coming campaign against Canada. Abercrombie was exasperated by the lack of aggressiveness of Amherst and Brigadier-General Thomas Gage, and he complained to Loudoun that by not taking Montreal they were missing a fine opportunity to relieve the pressure on Wolfe*’s army at Quebec. He was clearly a man of strong opinions and considerable self-confidence. His craving for action was partially satisfied by his participation in Joshua Loring’s successful naval foray on Lake Champlain following the capture of forts Carillon and Saint-Frédéric (near Crown Point, N.Y.). In the winter Abercrombie was summoned to London to testify at the court martial Lord Charles Hay had demanded to clear his name after the Loudoun expedition. While in London he secured the recommendation of General Sir John Ligonier, principal military adviser to William Pitt, that Amherst promote him major. Loudoun was likely influential in obtaining Ligonier’s support. 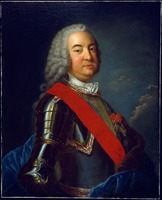 Abercrombie rejoined the army at Oswego, New York, in July 1760 and was soon commissioned major; on 7–8 September he was Amherst’s emissary to Vaudreuil [Rigaud] in negotiating the capitulation of Montreal. His new commission was in the 78th Foot and he apparently joined the regiment after the surrender. It may have served in the Quebec area until disbanded in 1763. Major Abercrombie was placed on half pay. On 27 March 1770 James Abercrombie returned to duty as lieutenant-colonel of the 22nd Foot, which was stationed in Britain. He took his unit to Ireland in late October 1773 and became acting commandant of the Dublin garrison. His letters to his friend and former patron, Loudoun, reveal Abercrombie as a man of refreshing candour and wry wit. Much as he disliked Dublin, he hoped that he would not be ordered to America where he believed Gage, the commander-in-chief, faced a most difficult situation. Nevertheless he was directed there on 3 March 1775. 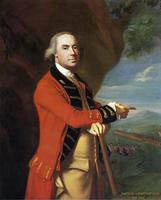 Abercrombie reached Boston on 23 April and was immediately appointed adjutant general. He was as critical as ever of Gage’s lack of initiative and of the low morale and lack of supplies in the besieged British force. 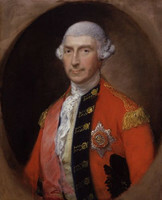 By the end of May major-generals William Howe, John Burgoyne, and Henry Clinton had arrived to replace Frederick Haldimand on Gage’s staff, and Abercrombie was shortly afterwards appointed to head a battalion of grenadiers. On 17 June he was wounded leading his men against the American positions near Bunker Hill; he died on 23 June and was buried at King’s Chapel, Boston. Abercrombie was later commended by Gage for his performance at Bunker Hill. [Secondary sources contain numerous unsupported references to the existence and nature of a family relationship between the subject of this biography and Major-General James Abercromby, commander-in-chief in America in 1758. He is described as the general’s son in: The national cyclopaedia of American biography (57 v. to date, New York, 1892– ), I; Wallace, Macmillan dictionary; Le Jeune, Dictionnaire, I; Amherst, Journal (Webster), 85. Two modern works refer to him as a nephew of his commander: Shy, Toward Lexington; J. R. Cuneo, Robert Rogers of the rangers (New York, 1959). 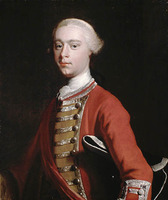 The general did have a son, James Abercromby, in the 42nd Foot during the Seven Years’ War, but this young man was an ensign at the time that the subject was a captain; see the “List of commissions,” Military affairs in North America, 1748–65 (Pargellis), 332, and Officers of the Black Watch, 1725–1952, comp. Neil McMicking (rev. ed., Perth, Scot., 1953), 16. The subject’s correspondence never refers to the general as his father and he consistently spells their names differently (he was a good speller for his time). Contemporary sources do not refer to him as the general’s son or as James Abercromby Jr, and the ensign is explicitly designated as a son in the list cited above (Pargellis). It is therefore unlikely that the subject was the son of his famous near-namesake. He may have been a relative. Two capable historians believe him to be a nephew, although his own correspondence makes no mention of such a relationship, nor does that of any contemporary. If he were a younger relative of the general, he may have been the “Jemmy Abercromby” of the 1st Foot who did an errand for and wrote to the famous Scottish philosopher David Hume in London in 1747: [David Hume], The letters of David Hume, ed. J. Y. T. Greig (2v., Oxford, 1932; repr. 1969). Hume was a friend of the general, then a colonel (ibid., I, 102–8, 146–48, 190, 204; DAB, I, 28–29). Huntington Library, Loudoun papers. Correspondence of General Thomas Gage (Carter). General Sir William Howe’s orderly book at Charlestown, Boston and Halifax, June 17, 1775, to 1776, 26 May . . . , ed. B. F. Stevens, intro. E. E. Hale (London, 1890; repr. Port Washington, N.Y., and London, 1970). Knox, Hist. journal (Doughty). Mass. Hist. 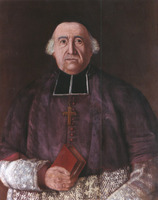 Soc., Proc., 2nd ser., XI (1896–97), 304–6 (James Abercrombie to Cadwallader Colden, 2 May 1775). G. B., WO, Army list, 1775. Pargellis, Lord Loudoun. Peter E. Russell, “ABERCROMBIE, JAMES,” in Dictionary of Canadian Biography, vol. 4, University of Toronto/Université Laval, 2003–, accessed April 24, 2019, http://www.biographi.ca/en/bio/abercrombie_james_4E.html.